Heat oil in a pan. Add rai, jeera and urad dal. When rai starts spluttering add chopped onions, curry leaves and green chillies. Fry until the onions become transparent. Now add finely chopped (or mashed garlic) Fry for a while and add red chilli powder, dhaniya powder and haldi to it. 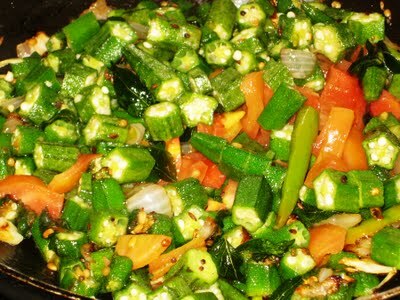 ​Mix well and add chopped bhindi and tomato pieces. Add salt, stir, close the lid and cook in a medium flame for 10 to 15 mins. 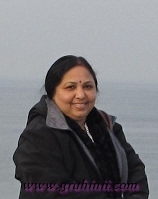 until the bhindi is cooked properly. Stir occasionally. Switch off the flame and take the curry into a bowl and garnish with finely chopped coriander leaves. 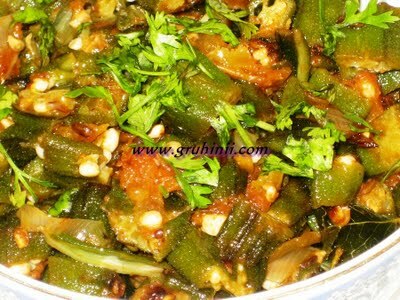 Bhindi Tomato curry/Bendakaya Tamata koora is ready.........tastes good with rice or rotis.